A 300 yard stretch of deep, slow moving river noted for very large catches of Bream to double figures. Ideally suited to groundbait feeder fishing. Large Chub And Roach & Perch are also present. 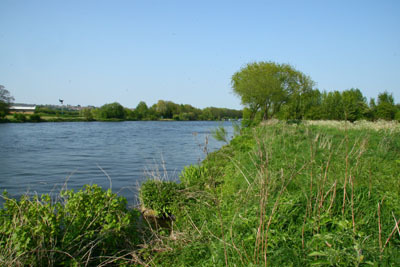 Fishing is from the end of the Sailing Club frontage downstream to the clapper gate. Members Only. No Night Fishing. Closed Season 15th March to 15th June Inclusive. From the A6011 Radcliffe Road turn into Regatta Way (towards the water sports centre), continue for ¾ mile and bear left just past Sailing Club entrance. Continue for 600 yards through water sports centre gate to the car park on the left. Park at the back of the car park close to the river.